A little over a week ago I dug into an important topic on the Left Brain Marketing DemandGen (r)Evolution blog. How can we improve our approach to lead nurturing as B2B marketers, and in doing so, how can we improve the effectiveness of our B2B demand generation programs? Despite increasing adoption of marketing automation technology, “[w]e’re really bad at lead nurturing as B2B marketers,” I explain in the post. I subsequently dig into the disconnects, and I recommend a strategic ‘layered’ approach to rationalize nurturing programs. 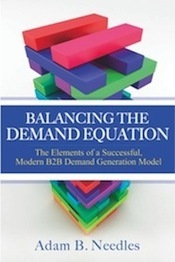 The resultant call-out is the need for a model to better think through how to build a successful lead nurturing program – balancing lead-flow goals with the need to engage the modern B2B buyer and giving you a foundation for building out nurturing tracks within your marketing automation system. 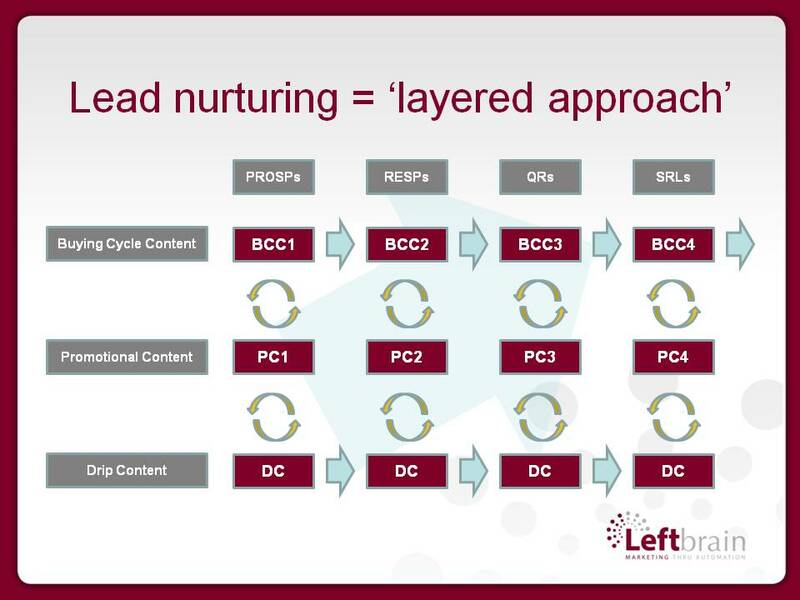 Successful lead nurturing requires thinking in terms of a matrix of potential content offers and reactions on the part of the B2B buyer – all of which are designed to help support the buying process, accelerate decision-making and orchestrate content dialogue with that buyer. It’s impossible to envision every single choice a buyer will make in every situation, but you can understand if a buyer is ‘on track’ or off, and have an approach to getting buyers back on the right track.